It's not uncommon to wish to display a company/game logo along with the loading bar in games. 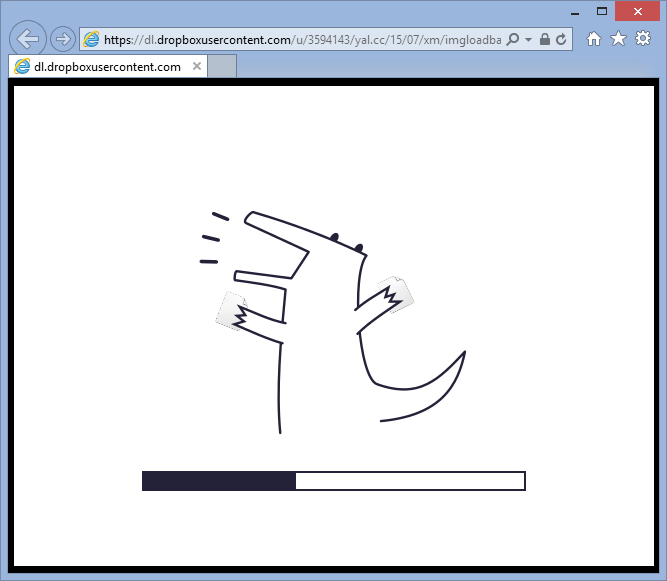 Alas, the default loading bar either displays the bar, or the image, which can be slightly inconvenient. As you can see, it's all about drawing a bunch of rectangles, an image, and having descriptive variable names so that the end user (you) can customize colors and other things easily. Import the attached GMZ into GameMaker: Studio. Alternatively, if you have 7-zip installed, you can "unpack" the GMZ file somewhere using it. Add the "ImgLoadBar" extension to your project. 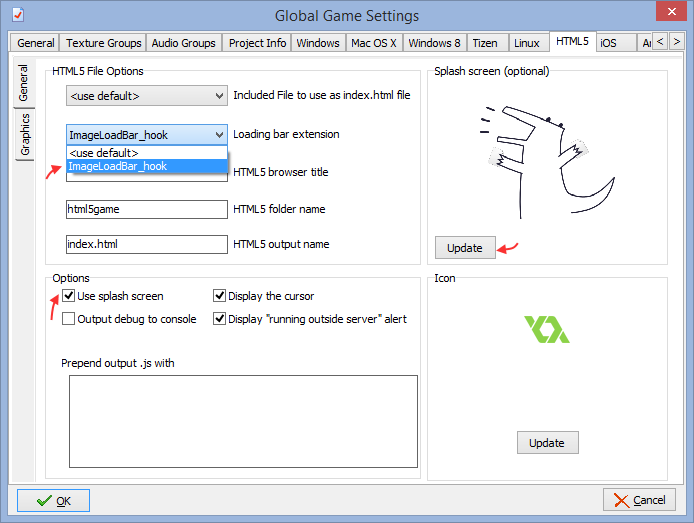 The easiest way to go about this is to simply drag the .extension.gmx file from the project' directory onto GameMaker: Studio window with your project open. Set the "loading bar extension" to the newly introduced function. Make sure that "use splash screen" checkbox is "checked" (it determines whether the splash image will be sent to the loading bar extension or not). Update the "splash screen" to your desired image. In this case the extension draws the image "as is" (without scaling) so you may need to experiment a little. If all above steps were done, the game will now display the newly-obtained loading bar. (optional) Change the parameters to suit your game better. This is done by changing the JS file in /extensions/ImgLoadBar. Changes are reflected upon compilation. Create a new extension by right-clicking "extensions" folder in the IDE and picking "Create new extension". Right-click your new extension, pick "add file", and pick the JS file provided (containing the earlier shown function). Right-click the newly added JS file and pick "add function". Set the name and external name to "ImageLoadBar_hook", set it to have 6 arguments (type does not matter) and make sure that "use variable arguments" checkbox is not checked. If the above steps were done correctly, the extension' function will now show up in the list in Global Game Settings tab and you'll be able to proceed with it as usual. Update (Apr 2017): a more configurable version of this extension is now available. Hey man, I really love your extension! Thank you for share it. This is for a very big game which takes forever to load. Do you think what I want to do is possible in any way? Anyway, I’m trying to change the background image, not the background color (I know, I know, I said just “background” in my last post, totally my fault). Still, I’ll see if I can edit the new extension to do it. I already found a nasty workaround to achieve what I need (eliminating background color and sending a transparent image to the extension, then I added the background images I want directly in the index.html), but I’d love to solve this in the extension itself. I’ll let you know if I find a solution using the new extension you just made. It does change the background image – there’s a strip of 4 differently colored panels imported in the example. Oh, at a first glance I thought it was the background color alone changing. Alright, let test it better. Btw, the “Download” button link is broken (https://yellowafterlife.itch.io/gamemaker-loadbar). Fixed that – forgot to publish the page.